The Tanzania Private Sector Foundation (TPSF), a private sector organisation aimed at promoting private sector-led social and economic development in Tanzania, hosted on February 6th 2014 a consultative seminar on the expansion of venture capital and private equity investment financing in Tanzania. The main objective of the seminar was to stimulate the private sector to expand venture capital and private equity in Tanzania as additional non-bank source of investment financing for expansion, innovative and risky projects. The event saw the presence of TPSF Executive Mr Director Godfrey Simbeye, media tycoon and TPSF Chairman Dr. Reginald Mengi and Minister of Investment and Empowerment Hon. Dr. Mary Nagu. In his opening remarks Mr Simbeye stressed that “The targeted 10% average GDP growth rate from 2016-2025 as outlined in Tanzania’s Five Year Development Plan (FYDP 2011/12 -2015/16) cannot be achieved without massive private sector investments into the economy”. In his welcoming remarks Dr Mengi warmly urged traders, businessmen and entrepreneurs in Tanzania to “think big” and be ambitious and use venture capital and private equity for such purpose. 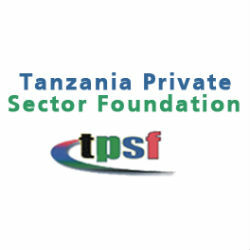 Since its founding in 1998, TPSF has served as an apex and focal point for private sector advocacy and lobbying on behalf of the private sector.